The Australian People's Party (APP) supports transparent, accountable and honest government. We are a centrist party. Neither supporting left or right wing ideologies but commonsense policies and ideas. At the next election Australians have a choice to make: continue with the status quo or vote for a fairer, sustainable and better Australia for all Australians. You have a choice in the Australian People's Party. 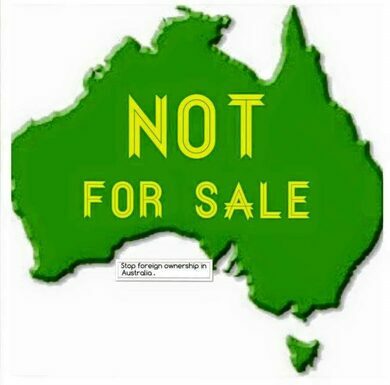 At the next Federal election we need your support to send a message to the major parties we have had enough. Ensure whichever party wins, they do not control the Senate (remember Workchoices) and support our candidates. As our party name indicates, we are people just like you, representing you and your family, your aspirations and a fair go for all. 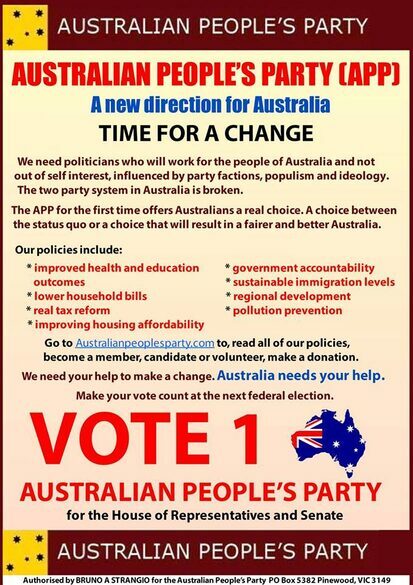 We encourage you to read our policies, become a member or supporter and to vote for the Australian Peoples Party.